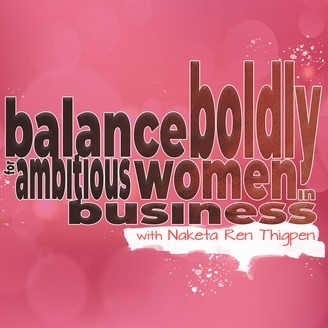 On the Balance Boldly Podcast, host Naketa Thigpen talks with ambitious women in business (and a few brave men) from a wide array of industries about their pursuit of success, how they face business burnout and what work/life balance looks like for them. Not your conventional self-help podcast, Balance Boldly uncovers real solutions to real problems afflicting real people at home and in the workplace, daily. Raquel Miller is a proud Carribean-American business leader, a social connector, and the owner of Bunchful Birthday + Holiday Registry. She is a poet and a remarkable speaker on various topics such as entrepreneurship, leadership, and cultural gift-giving as well as a phenomenal storyteller who is not afraid to share and be honest about her highs and lows in business. With over 17 years of experience in operations and sales, she has developed her skills as a business-savvy entrepreneur devoted to encouraging and enabling others to discover their prosperity and achieve the success they desire. Her motto is: Make a Difference NOW. Raquel joins me, Naketa Thigpen, today to share what inspired her to incorporate her love for traveling to her gift registry business. She explains the difference between being in a place of generosity through giving and expecting something in return for something given. She also shares the foundations and pillars of her company and why she chose those to be the bedrock of her business and shares her ability to process and move in her own chaos. 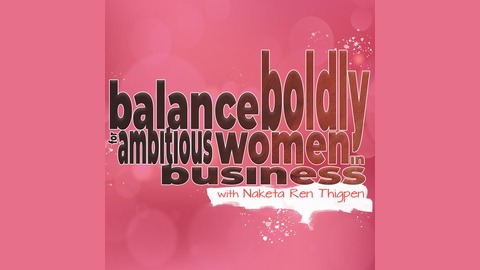 “The challenge you're facing right now is in preparation for something you asked for.” - Raquel Miller This Week on the Balance Boldly for Ambitious Women In Business Podcast: ●How Raquel started her business as she took advantage of her gift as a giver ●Why she believes that the ability to give is a privilege ●How we tend to become blind when we are on the receiving end ●The foundation of what drives us and who we are as a company ●Why she chose the slogan “Life’s a gift” to be the vision and driving force of the company ●The challenges she faces as a giver while she was starting her company ●An overview of how she founded her company Bunchful ●The natural impulse we have when we experience a setback in business and how to move past it ●Why she makes it a point to step out of her comfort zone and explore unchartered waters in business ●Why she tries to set her ego aside while exploring unknown territory ●How writing permits her to pause A Little Permission to Pause: ●I put all the gadgets aside, breathe the air, and observe while I walk down the street with a tiny notebook in hand. Connect with Raquel Miller: ●Raquel Miller Website ●Bunchful Website ●Bunchful on Instagram ●Bunchful on Twitter ●Bunchful on Facebook ●Bunchful on Facebook Group Subscribe, Share & Balance Boldly On the Balance Boldly Podcast, host Naketa R. Thigpen talks with ambitious women in business (and a few brave men) from a wide array of industries about their pursuit of success, how they face business burnout and what work/life balance looks like for them. Not your conventional self-help podcast, Balance Boldly uncovers real solutions to real problems afflicting real people at home and in the workplace, daily. If you enjoyed this episode, head over to iTunes, Spreaker, iHeart Radio, or Google Play to subscribe to the show and leave your honest review. Connect with me, Naketa R. Thigpen @balanceboldly on IG, Twitter, Facebook and YouTube. Now Go. Create Your Balance. Create Your Joy. But remember, do it, BOLDLY! Thank you for listening!